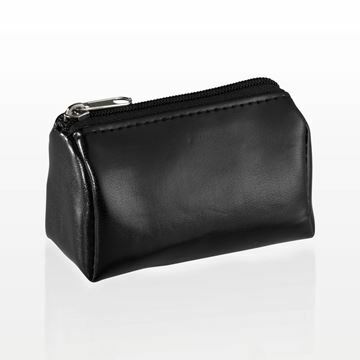 This versatile black makeup bag is made from our own special design and is economically priced. It includes holders for four brushes with a protective flap to keep them clean. The outer layer has two carry handles that double as a hanger loop and a large zippered mesh storage compartment. 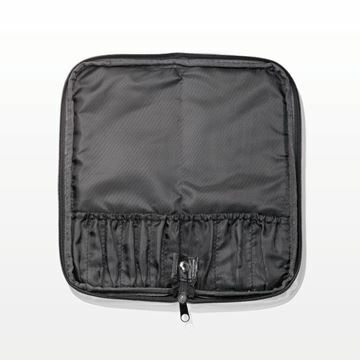 The removable extra deep makeup bag secures to the outer layer with Velcro®. Ask about silk screening your logo onto the bag to create a perfect giveaway or gift. Protect and store your makeup brushes in this durable cylinder shaped brush holder. 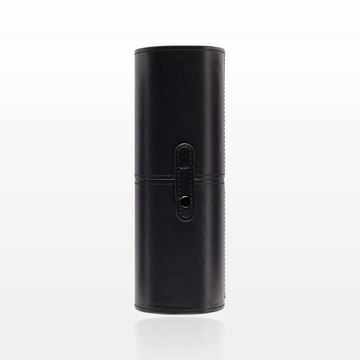 Brush case closes securely with a strap and snap closure on either side. Keep your Kabuki brush protected during travel with this black zippered kabuki brush case. Fits most kabuki brush sizes. 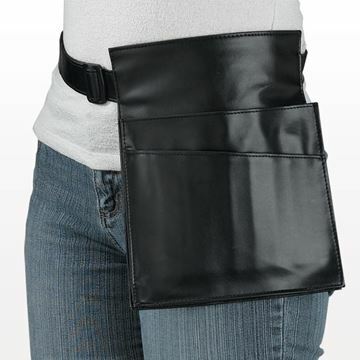 This brush belt contains 17 pockets, allowing the artist to move around freely while carrying a variety of brushes, tools and accessories comfortably around their waist. 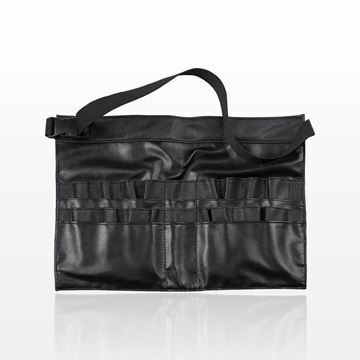 It comes with an adjustable strap and is made from a soft, leather-like Polyurethane material. Beauty retailers can create a uniform look for their employees by outfitting them with this versatile brush belt. This brush belt contains 28 pockets, allowing the artist to move around freely while carrying a variety of brushes, tools and accessories comfortably around their waist. 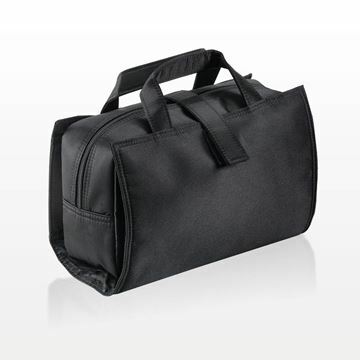 It comes with an adjustable strap and is made from a soft, leather-like Polyurethane material. Beauty retailers can create a uniform look for their employees by outfitting them with this versatile brush belt.